This Half Cheek Copper Mullen Mouth Bit is made of only exceptional quality materials. 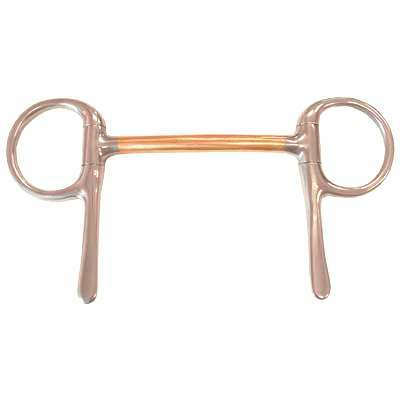 When buying a Mullen Mouth Horse Bit from us we are confident that you will be happy with our products. The mullen mouth in this bit also spreads pressure on the horses mouth. This item also has a copper mouth which helps with the horses salivation. The size of this Half Cheek Bit is 1.625'' rings, 13mm mouth and 2 3/4'' shanks. As horse enthusiasts ourselves our number one priority is to offer our customers Mullen Mouth Bits which we believe are made to last and available at affordable prices.